In my family growing up we always got a set of socks and a set of underwear for Christmas. Growing up with four brothers and myself my parents used holidays as a restock time of year as well as a fun surprise. So we always got a few items we desperately needed, and any parent will tell you when raising kids you always need extra socks and extra underwear. The Boy’s Store has some incredibly cute socks and underwear available, because after all, just because we need them doesn’t mean they can’t be fun. Boys Boxer Briefs by Trimfit: These fun and comfortable boxer briefs come in package of four. These just scream comfort, they are tagless, they are contoured to fit, and they are 100% combed cotton. They come in a colorful and assorted set with stripes, bold solids, and football helmets. Boys’ Cowboys Socks by MP: These cowboy themed socks will rope any young buck’s heart. Available in gray and navy they are perfect for that little western lover. Boys Spaceman Leg Warmers by Huggalugs: These legwarmers are perfect for that little crawling babe that isn’t ready to walk but needs to be stylish and protect his knees. He will rocket to the moon without ever leaving the family room! This entry was posted in boys clothing and tagged Accessories, christmas gifts, Holidays, huggalugs, leg warmers, MP, stocking stuffers, the boys store, Trimfit, underwear on December 16, 2018 by Lacy. 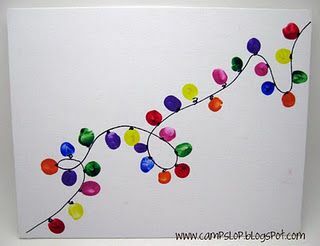 Holiday Crafts: Christmas Light Fingerprints!! It is my favorite time of year. The holiday time can be really busy and hectic, and I find that with little kids under the age of four to entertain while I get everything done it is best to have some sort of art or busy activity to keep them happy. I love to give them activities that will turn in ot keepsakes for me later on. Bonus if they are something that I can use as a decoration. This fun craft is perfect for holiday time, it is festive, uses fingerprints so it reminds you how tiny your little ones were every time you see it, and it can be put out every year as a Christmas decoration. It can be messy, so if you do not have children that can handle that alone they will need help. I have a designated art space in our kitchen area that is easy to clean so I allowed my toddler to do this craft alone. I found this fabulous craft at Camp Slop, a fabulous blog that has incredible activity ideas perfect for camp, pre-school, home-school, or at home play. You can get the full details on how to create the craft at their blog. They even have other fun handprint/fingerprint holiday crafts. As I said earlier I allowed my little man to do this craft on his own, it was the perfect distraction while I wrapped presents. I simply made the line for the christmas lights ahead of time. I even made this as a christmas gift for the Great Grandmothers in the family. So I simply made the canvases with the “string” line pre-made and let my toddler go nuts with the finger paint. I always leave a picture of the sample so my son can see what it will look like, but gives him the chance to make it his own as toddlers will do. Now I just have to wait for them to dry and I can package them up as gifts for the holiday season, but do not worry, I always keep one for myself! This entry was posted in Activities, General and tagged Activities, art time, arts, arts and crafts, busy play, camp slop, crafts, DIY, handmade, holiday crafts, Holidays, keepsakes, the boys store on December 10, 2018 by Lacy.